Much has been written recently about the politics leading up to the first world war. 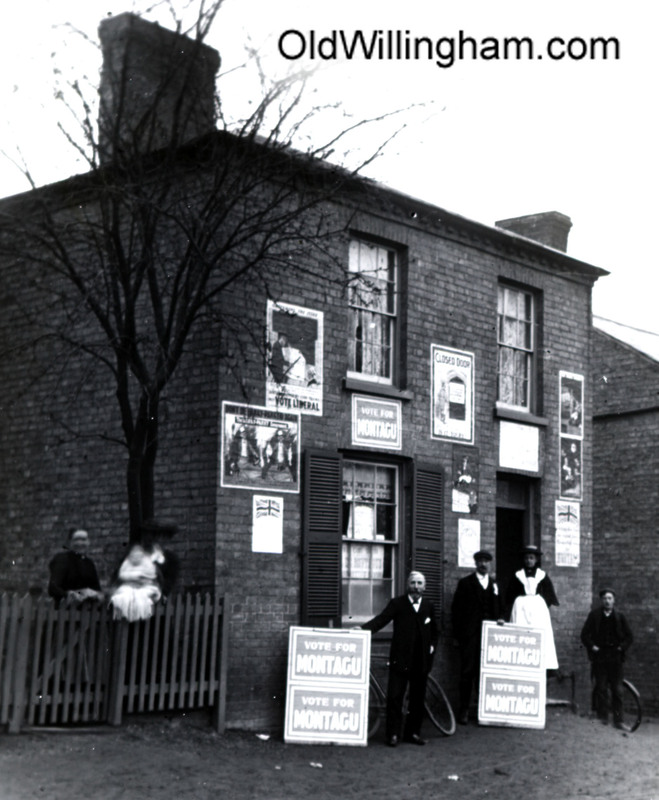 The picture this month shows a house on Church Lane (still there today) which appears to be the local party headquarters for the Liberal Party. Signs outside declare “Vote for Montagu” and there are posters all over the front. This likely places the photo at 1910 when Edwin Montagu was re-elected as member of parliament for the Chesterton Division which covered Cambridge and the surrounding villages. During WWI Montagu became Minister for Munitions and was then appointed Secretary of State for India.